Minday Blaise is Discipline Group Leader, Early Childhood. and Director, Research in the College of Arts & Education at Victoria University (VU). Before coming to VU Mindy was a kindergarten teacher in the US. She has worked in American, Australian, and Hong Kong universities. Mindy’s scholarship relates to engaging with ‘postdevelopmentalism' and post empiricism to reconfigure early childhood research, teaching, and curriculum. A large part of this work involves ‘grappling-with’ feminist practices that are useful for interrupting the notion of the developmental child. 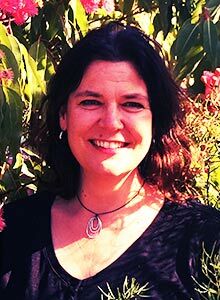 Mindy is a founding member and principal researcher of the Common World Childhoods Research Collective that promotes interdisciplinary research that focuses upon more-than-human childhood relations and pedagogies. Mindy publishes across both early childhood education and gender studies. Her book, Playing it straight! Uncovering gender discourses in an early childhood classroom (Routledge) brings together feminism, queer theory, and early childhood to rethink childhood, teaching, and learning. Her most recent book, The SAGE Handbook of Play and Learning was co-edited with Liz Brooker and Susan Edwards and showcases how postdevelopmentalism is taken up in early childhood. Blaise, M. & Hamm, C. & Iorio, J. (2016). Modest witness(ing) and lively stories: Paying attention to matters of concern in early childhood. Pedagogy, Culture, and Society. Online first. Blaise, M. (2015). Fabricated childhoods: Uncanny encounters with the more-than-human. Special Issue: Monstrous Childhoods, Discourse: Studies in the Cultural Politics of Education. Taylor, A., Pacini-Ketchabaw, V., de Finney, S. & Blaise, M. (2016). Inheriting the Ecological Legacies of Settler Colonialism, Special Section in Environmental Humanities. 7 (1), 129-132, doi:10.1215/22011919-3616362. Blaise, M. (2014). Interfering with gendered development: A timely intervention. Special Issue: Negotiation of Gender in Early Childhood Settings, International Journal of Early Childhood, 46 (3) 317-326. DOI: 10.1007/s13158-014-0122-9. Brooker, L., Blaise, M., & Edwards, S. (Eds.) (2014). The SAGE Handbook of Play and Learning. London: SAGE Publishers. Latham, G., Blaise, M.,Dole, S.,Faulkner, J., and Malone, K. (2011). Learning to teach: New times, New practices. 2nd Rev. Ed. Melbourne: Oxford University Press. Blaise, M. &Nuttall, J. (2010). Teaching across the early years. Melbourne: Oxford University Press. Blaise, M. (2005). Playing it straight! : Uncovering gender discourses in the early childhood classroom. NY: Routledge Press. Taylor, A. & Blaise, M. (2016). Queer departures into more-than-human worlds. In L. Allen & M.L. Rasmussen (Eds. ), The Palgrave Handbook of Sexuality Education. London: Palgrave/MacMillan. Blaise, M. (2016). Critical theory. In D.L. Couchenour & K. Chrisman (Eds), The SAGE Encyclopedia of Contemporary Early Childhood Education. London: SAGE. Blaise, M. (2016). Gender roles. In D.L. Couchenour & K. Chrisman (Eds), The SAGE Encyclopedia of Contemporary Early Childhood Education. London: SAGE. Pacini-Ketchabaw, V., Taylor, A., & Blaise, M. (2016). Decentreing the human in multi-species ethnographies. In C. Taylor & C. Hughes (Eds). Posthuman research practices. London: Palgrave/MacMillan. Blaise, M. (2016). Theoretical perspectives. In J. Ailwood, W. Boyd, & M. Theobold (Eds). Early Childhood Education and Care in Australia: contexts, policies and provision. Sydney. View more of Mindy's publications in VU's Research Repository. Fleer, M., Blaise, M., Agbenyega, J., Hammer, M., Monk, H., Peers, C., Ridgway, A., & Rivalland, C. (2011-2010). Professional Learning Program: Contemporary Child Development Theory ($599,000 AUD, Victorian Department of Education and Early Childhood Development). Loughran, J., Mitchell, J., Doecke, B., Berry, A., Clemens, A., Parr, G., Nuttall, J., Blaise, M. (2010-2007). Leading Professional Learning ($650,000 AUD, Victorian Department of Education and Early Childhood Development). Fleer, M. Blaise, M., Agbenyega, J., & Hammer, M. (2010-2009). Evaluation of Early Start Kindergarten Partnerships ($160,555 AUD, Victorian Department of Education and Early Childhood Development). Blaise, M. & Edwards, S. (2009-2008). Generating multiage pedagogies with the City of Melbourne’s early childhood teachers ($64,000 AUD, City of Melbourne, Victoria, Australia). Blaise, M. Edwards, S. & Hammer, M. (2007-2006). Investigating the experiences amongst stakeholders in family grouping models in the City of Melbourne ($26,400 AUD, City of Melbourne, Victoria, Australia).